Nestled in the quiet and convenient Meyonohk community, this newly renovated condo is sure to impress! 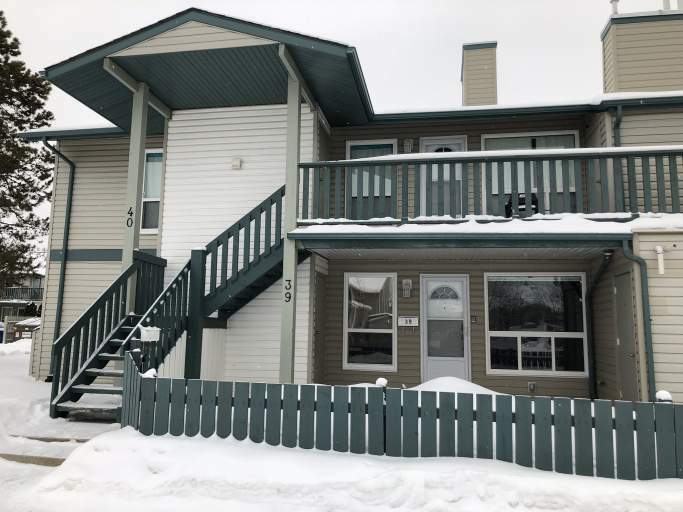 Located across the street from J. Percy Page High School and Millwoods Rec Centre and just blocks from Millwoods Town Centre and Grey Nuns Hospital, this neighborhood has it all! Plus, easy access to transit and commuting routes via 91 Street and 23 Avenue make any commute a breeze! This lower unit itself was completely renovated one year ago, which means you'll enjoy updated and modern flooring, appliances and windows! Walk inside the front door and be greeted by beautiful grey vinyl plank flooring and large windows which flood the entire with natural lighting. The large living room boasts a corner gas fireplace and enough space for any furniture arrangement and opens into dining area and further into a stunning kitchen. Along with gorgeous white cabinetry and stylish countertops, this kitchen offers stainless steel appliances including a large fridge, stove, microwave and even a dishwasher! Down the hallway you'll find a large master bedroom offering a large walk in closet and its own private full bathroom, another bedroom with a small walk in closet and even a third bedroom! Another full bathroom, front loading laundry machines and plenty of storage closet space complete this beautiful unit. One Outdoor Parking Stall Included In Rent. Cat is Negotiable - Subject to One Time $250.00 Pet Fee.